Does your home have a room or two that just don't stay warm in cold weather? 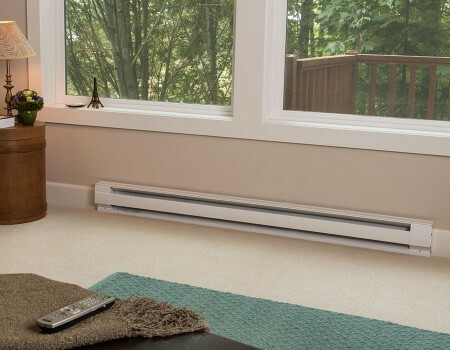 We can mount electric heaters in walls, in floors, or along the baseboard. The process includes running a separate circuit to the main panel, which is much safer than using a plug-in portable heater that can often overload an existing circuit. Then we will run a new, safe 240-volt circuit and install a programmable thermostat, and finally we will connect the circuit into the main electrical panel. Most homes have will sufficient capacity for the new circuit in your electric panel, however if your home does not we can upgrade your electrical panel as well.